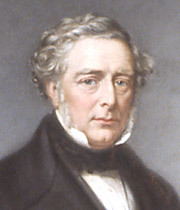 In his son's absence, George Stephenson had been appointed engineer for the Liverpool & Manchester line and was in the thick of debate about several important aspects. It was the first railway in the country intended specifically for the transport of both goods and passengers. Plans for its construction meet with fierce opposition but were finally passed by Parliament in 1826. Among other things, Stephenson Sr was forced to defend his technique for construction of the line, notably across a boggy terrain known as Chat Moss. The means to power the movement of freight was also to be decided. Many experts thought that using horses and stationary steam engines in combination would be the best option. Stephenson Sr was, as always, a staunch advocate of steam locomotion but the development of an effective engine was essential to his case. With so many demands on his time, however, the administration of project was in disarray, costs were escalating and the locomotive factory languished. Robert Stephenson resumed his position as head of the factory immediately on his return from Columbia. Unlike his visionary but stubborn father, he was extremely adept at organisation and collaborative work. He set to work at once to revive the business and to produce the locomotive that his father had so long believed in. This was the Rocket. Two improvements distinguished the Rocket from the coal-hauling engines which preceded it. First, the usual single straight or U-shaped flue running through the boiler was replaced by twenty-five much smaller tubes, three inches in diameter. Making this arrangement watertight gave Stephenson some difficulty and almost led him to despair, but he prevailed and the result was an engine with a far greater heated surface area than any before. Thus, for the first time, the engine produced sufficient steam to run continuously. Second, the cylinders were arranged beside the boiler rather than within it. This was a model that Stephenson continued to use for all subsequent engine designs. The Liverpool & Manchester Railway company had resolved to run a competition to help decide how their line would be powered. On 6 October 1829, four engines by different makers were tested at Rainhill over a two mile level track. The trials were repeated over several days in front of the judges and crowds of sightseers. The Rocket proved its worth admirably by its speed (just over 12 mph on the first day and faster in subsequent trials) and reliability. The prize of £500 was awarded to Robert Stephenson & Company and George Stephenson's dream of steam-powered transportation was realised. Sadly, the Rocket was also the instrument of the first train fatality. On 15 September 1830, the Liverpool & Manchester Railway was officially opened. Confused by a wave from the Duke of Wellington, who was then Prime Minister, one of the MPs for Liverpool, William Huskisson, stepped onto the line before the oncoming train. He died from his injuries that evening. Over the next four years, Robert Stephenson & Company continued to lead the field in the design and manufacture of locomotives. Famous prototypes were the Planet (1830), the Patentee (specifically for passenger trains) and the Atlas. Stephenson's link motion, developed at the factory in 1842, simplified and improved both handling and fuel economy. These designs dominated British steam locomotion for decades.